Our approach make it easy to create ads that work right away and consistently thereafter. Convincing a prospect to run a full page every week through September is easy, too, if you can prove it's going to work. Lisa Charboneau of the Bonner County Daily Bee used our selling technqiues to do just that. Why are some newspaper ad departments struggling in this economy while others are consistently up, month after month, even above pre-recession levels? After all, every newspaper is hearing similar objections--your rates are too high and the response was too low, nobody's buying in this economy so we need to cut back or go with the cheaper publication, nobody's reading newspapers anymore, and I can't pay my rent, let alone advertise. The main difference is, the newspapers that are experiencing dramatic gains have the unique ability to do something almost magical for their prospects--show them the money. This is exactly what happened recently with a sale to an organic natural food store by Lisa Charboneau, ad rep at the 6,000 circ. Bonner County Daily Bee. Lisa, using the unique set of skills found in our Response Oriented Selling course, sold the initially reluctant prospect a full-page broadsheet ad every week through September. She was able to prove beyond a doubt, upfront, and before the ads even ran, that the prospect would receive a strong response. And that the newspaper would actually deliver that response, regardless of what's happening with the economy. We believe eliminating the advertiser's perceived risk is by far the most powerful method of driving local ad sales. It gives prospective advertisers the confidence to spend some serious money long-term. Sadly, while many newspapers understand that spec ads sell, they continue to lose substantial revenue by encouraging outdated approaches to selling. 25 years ago, I was taught to position the spec ad as merely an afterthought to the main sales presentation. 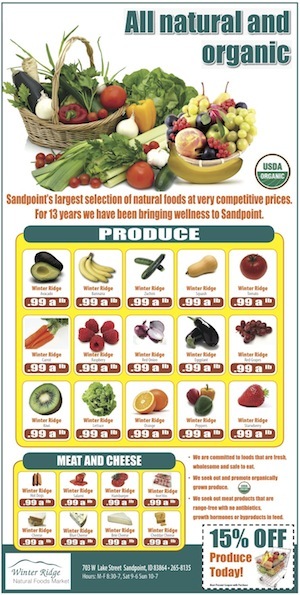 "Get out and sell the newspaper and leave the ad design to the designers," my managers would tell me. I struggled to present the ads made in a virtual vacuum by designers who knew little about the business. I hoped, as many salespeople do today, that the actual look of the ad would be enough to make the prospect believe they'd get a strong return on their investment. The rationale we gave for ad size and frequency wasn't much better. No matter what objection your prospective advertisers are giving you, here's what they're really saying. Focus on that and you'll be surprised how quickly their objections will disappear and their wallets will open. The old way of selling newspaper advertising just isn't cutting it in this recession and it's a frustrating way to sell. If you're explaining to prospective advertisers why your newspaper will get them a response but can't explain, beyond a doubt, why the proposed ad will work with similar effectiveness, then you're really not selling what the customer wants to buy, you're selling what you want them to buy. Instead, give your salespeople the analytical skills they need and a logical method to create ad strategies that will work immediately. Switch to selling the total response package and you won't leave so much money on the table. You'll close more sales, and, like many of the ad reps who embrace our approach, double your sales overnight. Oh, and your advertisers will thank you for it, too. 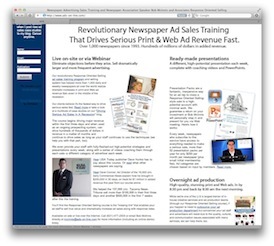 Interested in hearing more about how our Response Oriented Selling course can help your newspaper make instant and major revenue gains in this economy? Contact us for more information at (631) 477-2505 or mcinnis@ads-on-line.com.